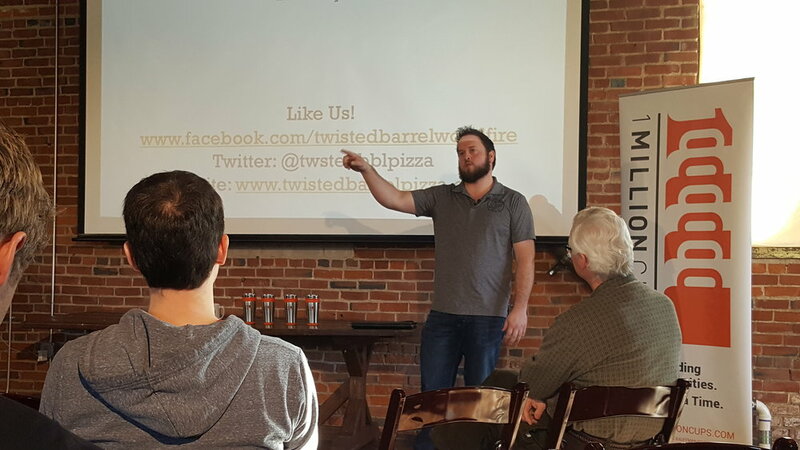 Derrick Chapman and Twisted Barrel Wood Fired Pizza. 1 Million Cups is an educational program for entrepreneurs to share ideas, discover solutions, and engage the community. This national event was brought to Rochester, by the entrepreneurial community, this February. 1 Million Cups Rochester takes place the first Wednesday of every month in the Bleu Duck Kitchen. In addition to Rochester, we have nearby 1 Million Cups communities in Saint Paul, Willmar, Eau Claire, Fargo, Des Moines, Grand Forks, Sioux Falls, and Madison. At this point, hopefully you have heard of 1 Million Cups Rochester before. Maybe you are on the fence about bringing your business front and center at this program. Here are the top five reasons why your startup should present at 1 Million Cups Rochester. Spark DJ's James Jones and John Boss. 1. It focuses your thoughts about your business. 1 Million Cups presentations are six minutes long. That’s not a whole lot of time to tell your story and explain your business. Fine tuning a presentation into this short time frame helps to clarify thinking around your own business and practice delivering that message in a clear, concise manner. Prepping for a 1 Million Cups talk also helps to identify holes in your business plan. 2. 1 Million Cups is a friendly, community-oriented event. Amanda Leightner and Rochester Rising. 1 Million Cups is not a pitch event. Entrepreneurs are not selling their business or promoting their products through a presentation. This is not the cut-throat world of Shark Tank. At its very roots, 1 Million Cups is an educational program. It’s not a networking group. It’s not a mechanism to gain sales. It is an opportunity to present your business concept to a community of people, mostly entrepreneurs themselves, who are just there to help you think about and develop your business. No one is there to cut a new entrepreneur down or criticize their business model. It’s a time to tell your story as an emerging business. Nadia Wood with The Hybrids. 3. It’s an opportunity to make connections. 1 Million Cups is all about leveraging the power and expertise of the community. At the end of the presentation each entrepreneur is asked, “What can this community do for you?” This gives entrepreneurs the chance to bring forward a very specific, direct ask for the community to solve. 4. It’s great exposure and experience for your business. Jocelyn Raymundo and Rochester Home Infusion. 1 Million Cups offers free exposure for your business to the people in that room (and those connected through the 1 Million Cups Rochester Facebook live feed, live tweets, and Instagram account), which immediately extends the reach of your startup. The main stream television and newspaper companies have covered 1 Million Cups Rochester during its early stages. There will always be coverage of 1 Million Cups Rochester, and in-depth stories of presenting Rochester entrepreneurs, on Rochester Rising. But more importantly, 1 Million Cups offers a time to practice talking about your startup and telling your story in a low key, minimum pressure setting. It is a time investment to prepare a six-minute talk, but it’s worth the effort. And if you’re up-to-date on your business plan, the information is already in place. Frank Spaeth at Med City FC. 5. You enjoy the benefits of participating in a national program. 1 Million Cups just celebrated its five-year anniversary in April and now takes place in 116 different communities across the United States, always at 9AM local time. Each 1 Million Cups is locally organized by entrepreneurs. 1 Million Cups was developed by the Kansas City-based Kauffman Foundation, a non-profit that supports and educates entrepreneurs. The 1 Million Cups program aims to “educate, engage, and connect entrepreneurs in their own community, gathering over cups of coffee.” 1 Million Cups offers connections to not only the local entrepreneurial ecosystem, but to the 116 different 1 Million Cups communities as well. Our startup and entrepreneurial community here in Rochester may be young, but it is strong and continues to grow every day. 1 Million Cups is an opportunity for emerging entrepreneurs- people taking risks and starting something in the community- to come forward and share their story to help us learn and grow together. The 1 Million Cups Rochester organizing team is always willing to speak with entrepreneurs who want to hear more about the program and see if it is a good fit for their startup. To learn more about 1 Million Cups Rochester, follow the community on the 1 Million Cups Rochester page or through their Facebook, Twitter, or Instagram accounts. 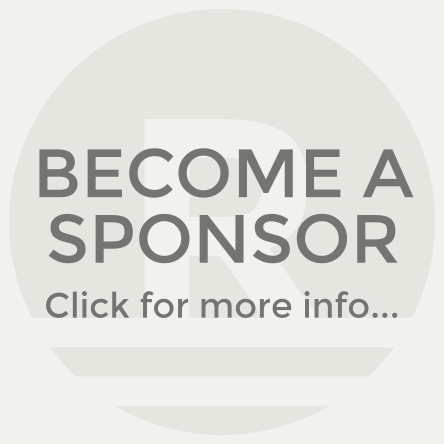 Startups can apply to present directly through the 1 Million Cups Rochester page.